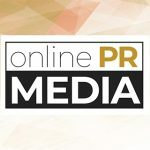 Online PR News – 15-April-2019 – Carson City, Nevada – Recovering from data loss or any kind of disaster can take weeks or even months without having a proper backup solution in place. The situation turns out worse for the small business firms as they are thinking of investing in a backup solution is extravagant for their business size. That's why it is important to invest in a sound and reliable backup solution, to ensure that you can get back to business when you encounter data loss. Vembu's BDR Essentials delivers secure backup with many Enterprise-level features like Agentless backup, Quick VM recovery, Granular restore, Centralized monitoring, and Flexible scheduling and retention policies. "We observed that small businesses had to compromise on critical features needed to ensure sound BC/DR policy as these features were a part of an enterprise backup solution. This created a void in the Small & Mid-market segment and we wanted to address this by introducing Vembu BDR Suite - Essentials Edition. Since we launched Vembu BDR Suite Essentials in August of last year, we were getting a lot of positive feedback from the market on how SMBs are leveraging the enterprise-class backup and DR solution for heterogeneous IT environments without worrying about the costs involved. We hope that with the increase of CPU sockets and VMs in our essential edition, we can support the small and mid businesses which scale up their IT infrastructure without worrying about the huge cost involved to implement the comprehensive Backup and DR solution." Vembu's flagship offering is Vembu BDR Suite which is a comprehensive backup and recovery solution across VMware Backup, Microsoft Hyper-V Backup, physical and virtual environments, applications, and endpoints. Vembu's latest free edition of the Vembu BDR Suite is now up with lots of flexibility that it has no feature restriction.